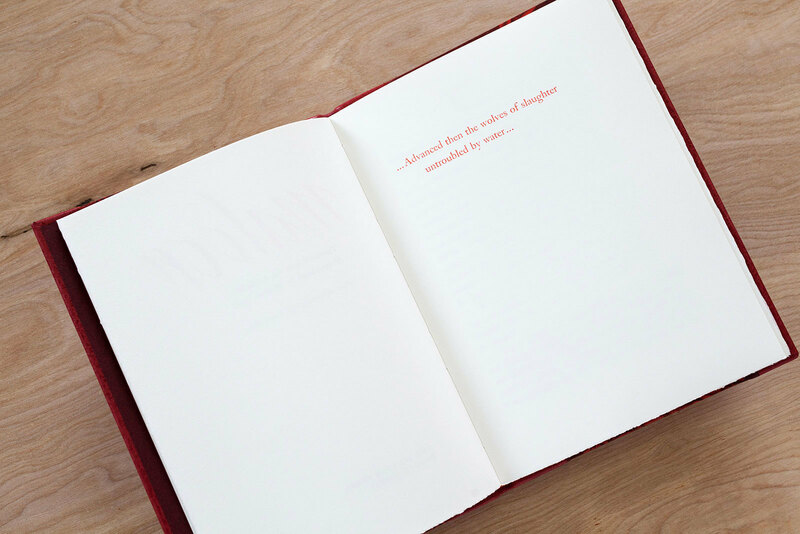 This book has been designed, typeset by hand and letterpress printed by Jamie Murphy, with much grateful assistance from Louis Scully. 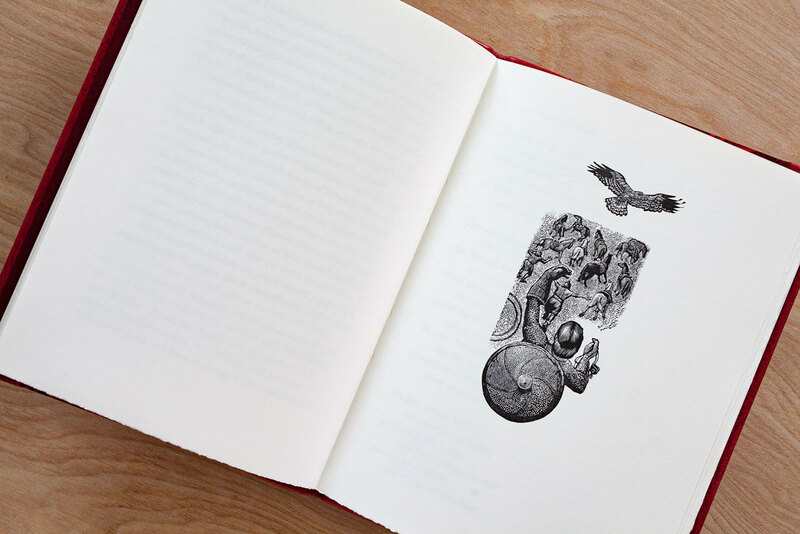 Simon Brett has designed and engraved the illustrations, which have been printed from the original wood blocks. 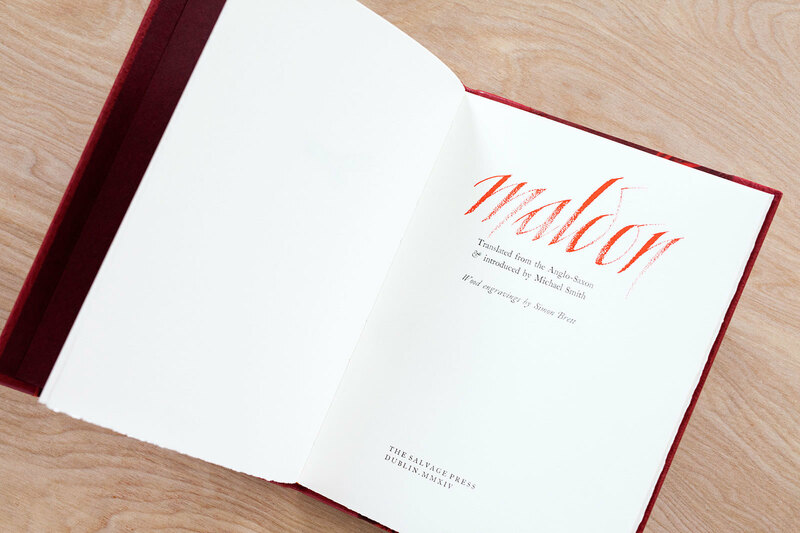 The calligraphic titles have been printed from magnesium plates after designs by Frances Breen. The type has been set in 12 and 18 point Monotype Caslon Old Face (series 128), superbly cast into founts by Neil Winter at The Whittington Press. 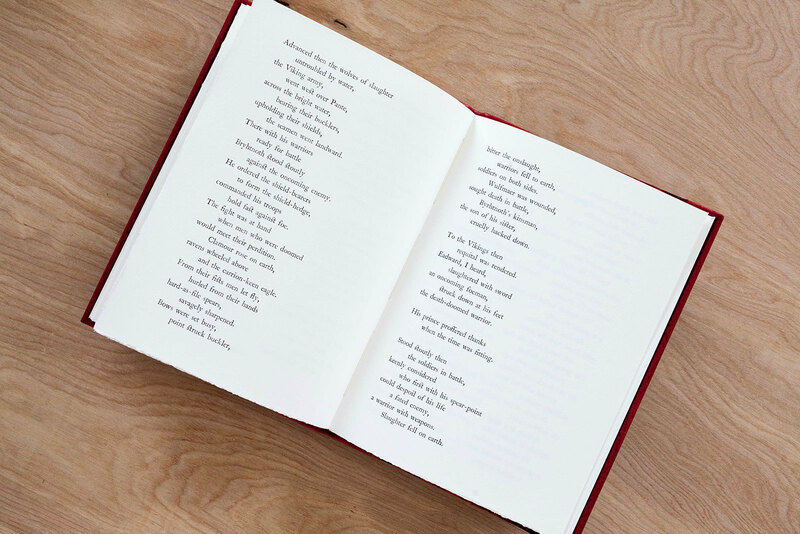 The book has been printed on Zerkall 170 gsm mouldmade paper. There are 65 books printed. 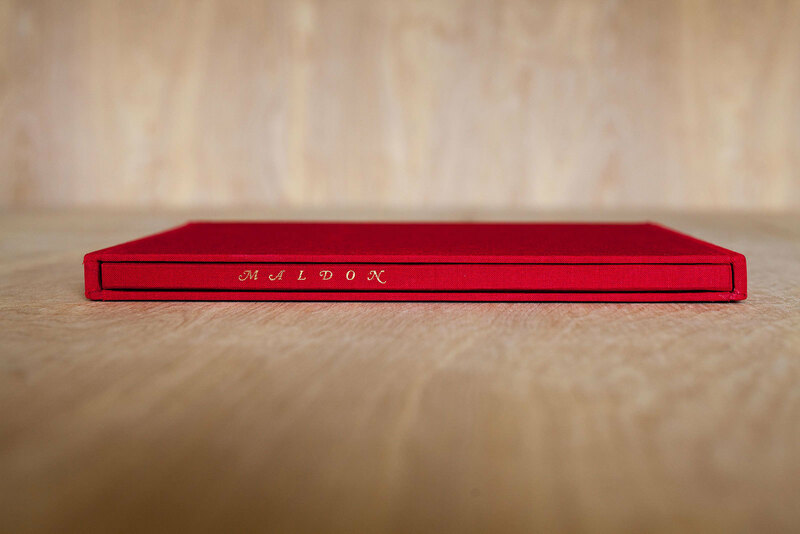 Copies marked i—xv (De Luxe) have been half-bound in Pentland Goat with paper sides and are accompanied by a portfolio of strikes of the engravings in protective slipcases. 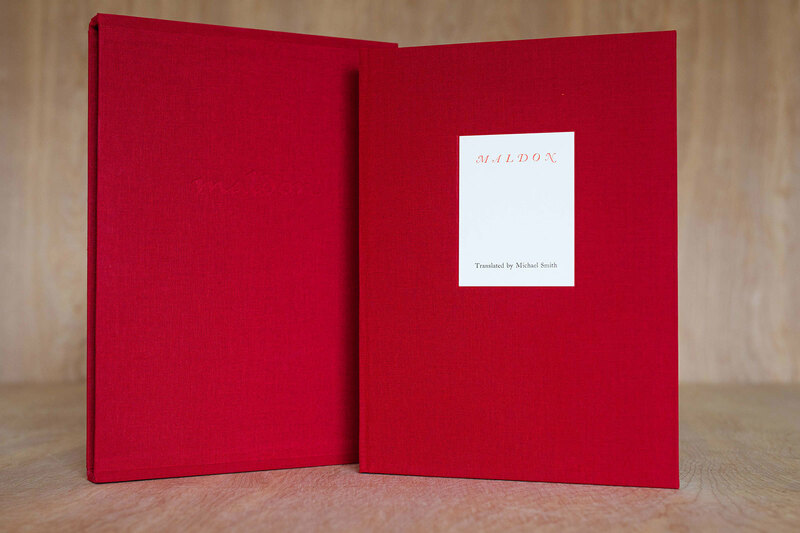 Copies marked 1—40 (Pictured here) have been half-bound in bookcloth with paper sides and housed in protective slipcases. Intended for private distribution, five full cloth-bound copies in slipcases are marked a—e and are Hors de Commerce. Five copies marked 41—45 remain as collated sheets. The bindings have been executed by Tom Duffy in his workshop at Dublin’s Five Lamps.